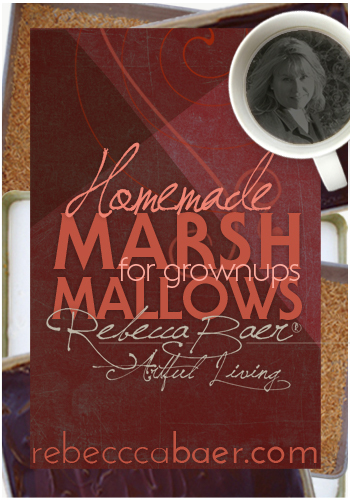 Marshmallows for grownups! Bittersweet chocolate ganache and toasted coconut makes these homemade treats the best marshmallows you’ve ever tasted! I used a pan that is 8-1/2” x 11” because it provides the desired thickness for my marshmallows. You can substitute a 9” square and make slightly thicker marshmallows. 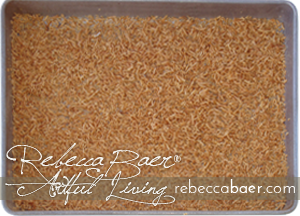 Coat a metal pan with baking spray and then layer the bottom with toasted coconut [Fig. 1]. Set aside while you make the marshmallows. In a large mixing bowl (not plastic) sprinkle three packets of unflavored gelatin over 1/2 cup of cold water. Fit mixer with whisk attachment. Combine 1/2 cup water, 1 1/2 cups granulated sugar and 1 cup light corn syrup in a medium sized heavy pan. Cook over medium-high heat until the boiling mixture reaches 240 degrees. Immediately remove the pan from the heat and pour in a slow, steady stream down the side of the mixing bowl with the mixer running on low. Once all of the sugar syrup in incorporated turn the mixer on high (cover with a towel to prevent splatters) and whip until the mixture is luke warm. Add vanilla and creme de cacoa. Pour mixture over coconut and spread to corner with an oil-sprayed spatula [Fig. 2]. Allow the marshmallows to set for about four hours. until solid. You can refrigerate until set but do not allow the chocolate to become hard or it will fracture when you cut the marshmallows. Slide a knife along the edges of the pan to release the sides and then turn the marshmallows out onto wax paper leaving the chocolate layer down. Cut the marshmallows into 1 1/4" squares. Press the cut edges into additional toasted coconut. Press a stick into each marshmallow and wrap with an 8" square of cellophane. Gather the cellophane around the stick pinching tightly. Secure the cellophane with several wraps of 1/4" green mini masking tape. Makes 3-1/2 to 4 dozen. 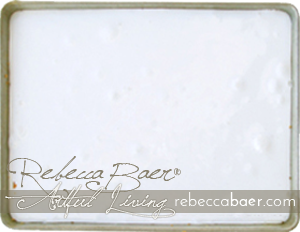 If you would like to make snowy white marshmallows, substitute white coconut for the toasted variety. For plain marshmallows, “flour” the greased pan with a mixture of cornstarch + powdered sugar 1:1. Create flavors with Lorann candy flavors. Add just a few drops for lightly flavored treats. 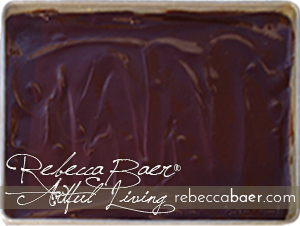 Wrap in cellophane squares and secure with colored tapes. To differentiate between flavors use a different color tape or combination of tapes.